Blackjack is one of the most popular games to play at any casino. This is partly due to its overall presence and popularity, but more so for the chance to use blackjack strategies. Most games in a casino will be based on luck and random chance. 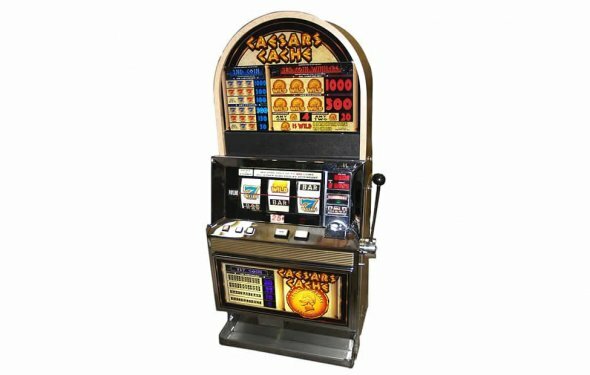 Many of the most popular casino games like roulette or keno will completely rely on luck and you will have little interaction that can change the outcome of the game. With blackjack, you can use skill to lower the house edge online and in person. By playing correctly, gamblers can slim that house edge to one of the smallest margins in the casino. There are numerous blackjack strategies that will work and help to win you money. The easiest one to get started with is basic strategy. This is a mathematical way of playing every hand based on what the dealer is showing. While memorizing this can be a daunting task, most casinos will sell cheat sheets in the gift shop. You can also print one online for free, like the one here. Splitting is a popular strategy employed in certain situations. The crux is this: if you are dealt two of the same card (especially 8s or Aces), you can split those cards into two separate hands. You’ll have to double your bet — with half to one card and half to the other — then the dealer will give you two more cards, one for each hand you’ve created. When you’re dealt 8s, you want to split because 16 is a miserable hand to begin with — you’re still below where the dealer will stand (17) but any card six or higher will bust you out — and because an 8 is a fine starting hand. With aces, splitting creates the chance for more blackjacks and other positive hands. Splitting is a worthy strategy both in brick-and-mortar casinos and online. Insurance is an option provided by the casino to gamblers when the dealer is showing an Ace. Most insurance policies will offer the player 3-2 odds on the dealer making blackjack, which sounds more enticing than it is. Players will lose money on insurance bets in the long run. There are times when, if counting cards, players may pick up an edge by taking insurance. But since players cannot count cards online, they should never use the insurance option. Surrendering is another option blackjack dealers offer that players are better off ignoring. When players surrender, they can recoup half of their bet, but have to give up the other half in exchange for surrendering their hand. There are times surrendering may seem like a plausible option — like when the player is dealt a 16 and the dealer shows a 9 or 10 — but players are better off just standing in the long run. The exception to this, like with insurance, is that card counters may be able to use the option effectively, but for online gambling, surrendering is not a viable option. This is the most known blackjack strategy and is very simple to use. When you double down, you put an equal bet to your original and are dealt one more card. You get the chance to double your money on a very strong starting hand. If you have 11 total as your first 2 cards, you should always double down, since nearly a third of the deck will give you 21 and more than half the cards will push you to 17 or higher. Players may also wish to double on 9s and 10s in certain situations. We recommend you consult the table below to find out when. This option is equally viable online and in person. Card counting, other than that you can't win consistently. The best you can hope for is to lower the house's edge as much as possible by playing perfect basic strategy. This is the mathematical way to lower the house's take, and give you a shot at winning.